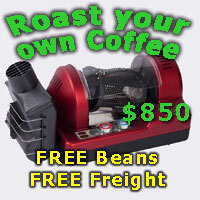 Thread: Gaggia Classic PID Help! Ordered a PID kit for my Gaggia Classic and with the help of my cousin who is much more electronically minded we installed it a couple weeks ago. However, I'm not sure that it is working quite as intended. At first I thought I had the temperature set too high but even though I've adjusted it on the PID this hasn't seemed to make a difference. I even ordered a new temperature sensor from Auber Instruments but this hasn't helped I'm hoping that someone can point out what I've done wrong. 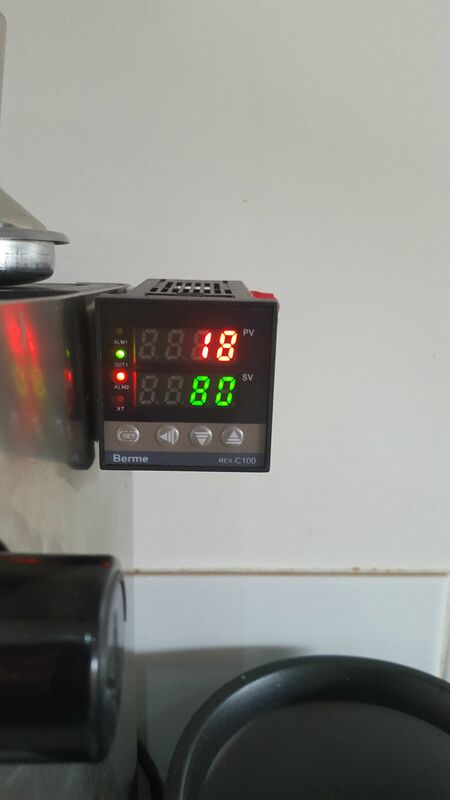 The unit I ordered is this one: Learcnc AC Digital PID Temperature Controller MAX 25A SSR K Thermocouple ebay link removed as per site posting policy which has a Berme Rex C100 PID and we followed the instructions here: https://www.mpja.com/download/rex-c100.pdf . Pictures if it helps at all? First thing is I really do not like the exposed / naked PID, get some kind of enclosure for it. Are you using the Auber pt100 / RTD probe? - If you are this could be a problem with the PID you are using. The Genuine REX controllers are capable of running pt 100 probes, however there are a HEAP of knock off's and even clones that say they are REX but are not. These will only run K type probes. I only ever use pt 100 probes for my PIDs and was stung once buying supposedly a genuine REX and it was not. The SESTOS controllers D1S-VR-220 on Ebay are pretty solid / good value and will run most probe types. Yeah I will be enclosing it but have left it for the meantime in case I need to rewire! 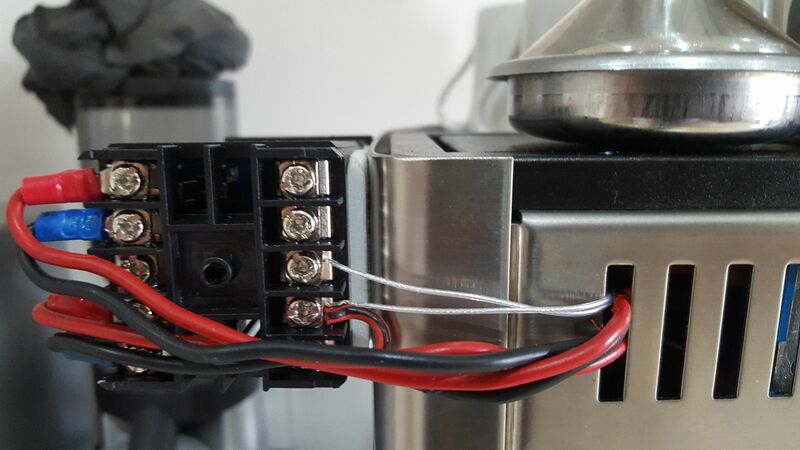 The probe that came with the kit did not fit so I wired the original Gaggia one in whilst I waited for the Auber one, problem also occurred then too. 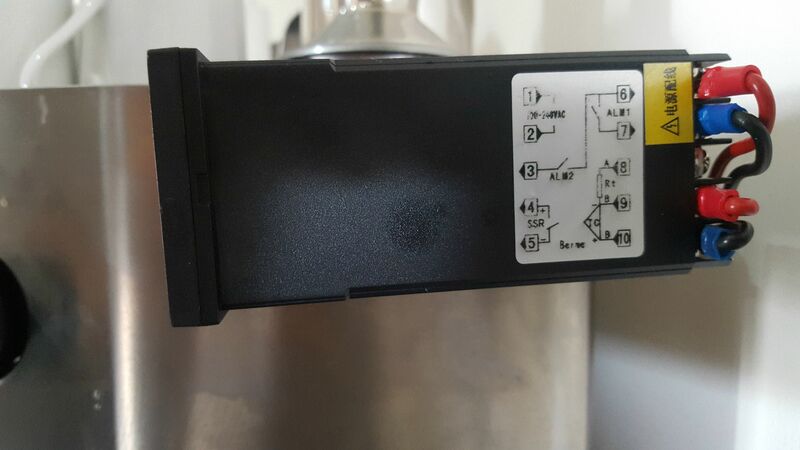 My gut feeling is that the wires may be around the wrong way seeing as how the sticker on my PID seems different to the manual. When we first wired it we had to swap the power in as there was no power going to it so I'm wondering if all the others need to be swapped over? How did you go with this one, any progress? Keen to do this myself to my classic. ...The probe that came with the kit did not fit so I wired the original Gaggia one in ? explain what you mean by using the " original Gaggia probe" ? What sort of probe was that ? No progress as yet, I have been sick so haven't had a clear head to sit down and work it out. However the actual putting it together was surprisingly easy even for a novice like me, provided you have the right kit! I should've been clearer. The probe that came with my kit originally was too big, so I used the original one in the boiler and wired that to the SSR. I'm no expert, but my take on reading about this mod is that the original thermostat is the problem that you're trying to fix with the PID. It lets the temp drop too much before turning the heating element back on. So plugging it into a PID will do nothing. Also, isn't it a different kind of probe? I thought it does't give you a temperature reading, but just switches power on/off internally using a bimetallic strip. As I mentioned in the first post I ordered a genuine temperature probe from Auber Instruments which is now in place, issue persists. As per the instructions we've jumpered plugs 9 and 10 and then the probe is in to 8 & 9...it looks right from the sticker on the side of the unit but maybe something there? any output signal from the PID to the SSR ? Have you "calibrated" the PID/TC probe ?